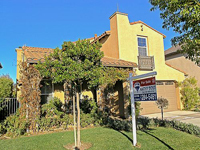 Welcome to Bridgeport at Valencia located in beautiful Valencia, California in the Santa Clarita Valley. Bridgeport offers an unparalleled peace of mind as you revel in your idyllic surroundings. Winding paseos. Rolling green hills. A glistening lake. The only place in Valencia you can enjoy true lake living. The most diverse living options with 9 neighborhoods offering single-family homes, condominiums and town homes. With resort-like amenities enjoy a private Lake Club with a swimming pool, spa, barbecues, paddle boats on the lake, spacious clubhouse and much more….Explore Bridgeport! Click on Featured Properties to see homes for sale. True Lake Living...in the middle of Valencia.